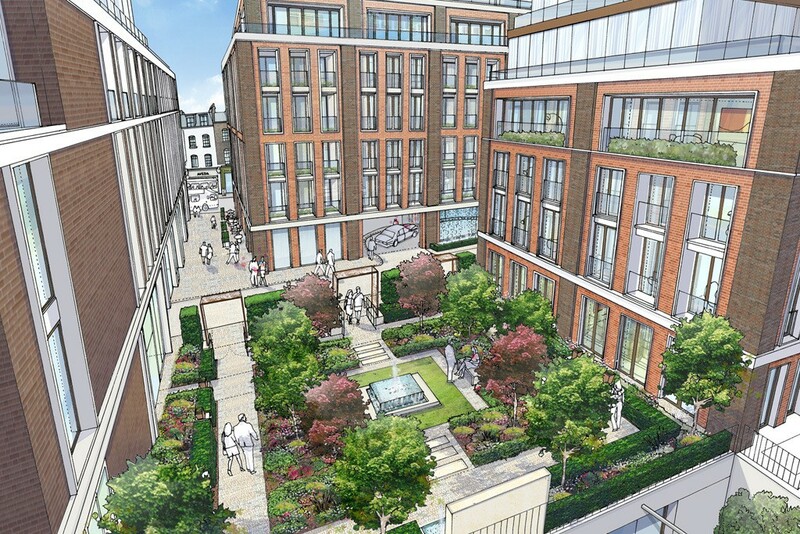 Proposals for the redevelopment of Lancer Square on Kensington Church Street gained planning consent last night at a meeting of RBKC’s planning committee. The redevelopment plans for Lancer Square will create 13,600 sq.m. of prime residential and retail space a short distance from Kensington High Street. The development plans comprise four blocks ranging from four to seven storeys and include 51 private and affordable residential apartments (with a mix of 1-4 bedrooms), a new office building with shops and cafés at ground level and a new landscaped public courtyard. The landowners, Malaysian property investors Chesington Investments, appointed CIT Group as development managers for the project and Squire and Partners as the project’s architects.